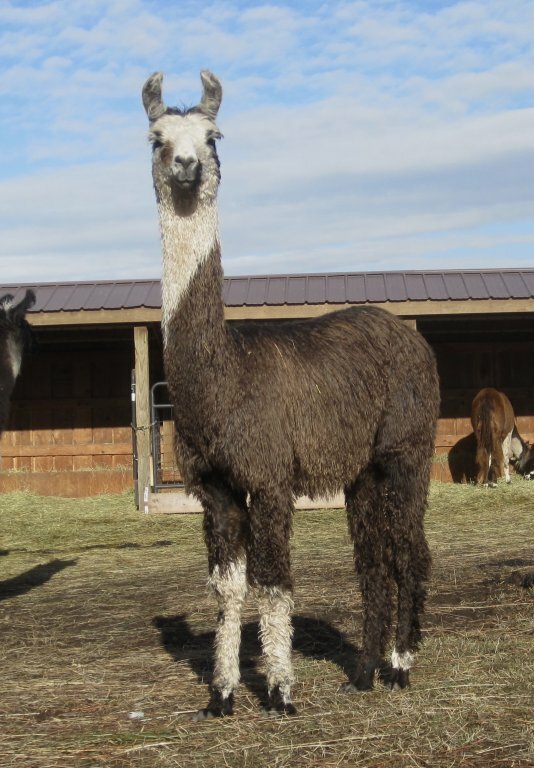 After distinguishing himself in the herds of Doug & Jamie Sharp, Colorado, and both Justin Timm and Sherry Tallmon of Oregon, Silvertone’s life and breeding career ended here on our ranch where it had begun 17 years before. 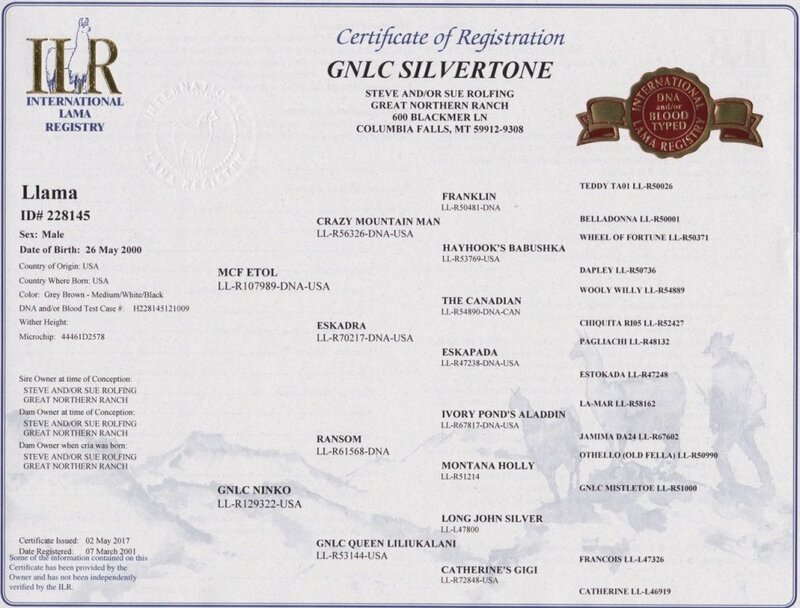 Silvertone was our favorite son from MCF Etol, our magnificent “E-line” sire who had the same handsome tuxedo pattern. 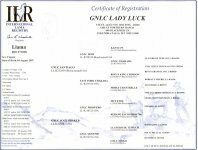 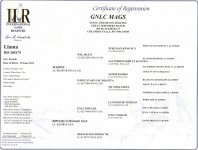 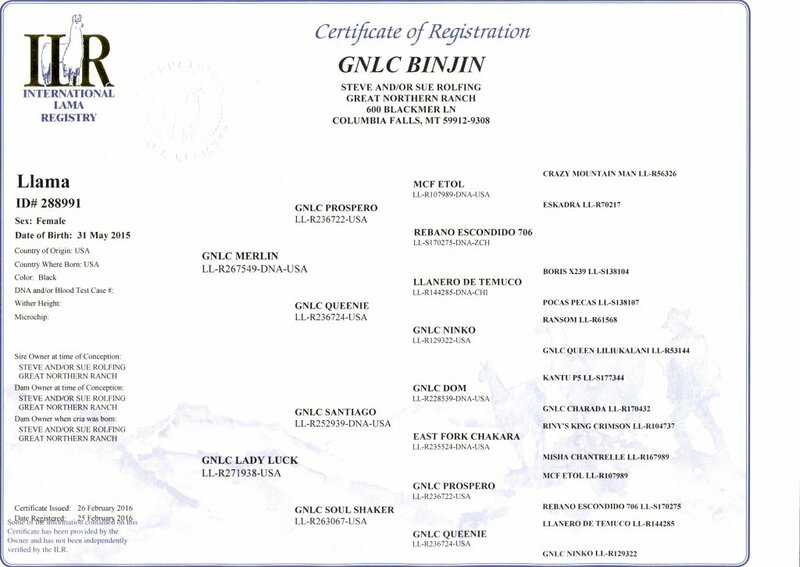 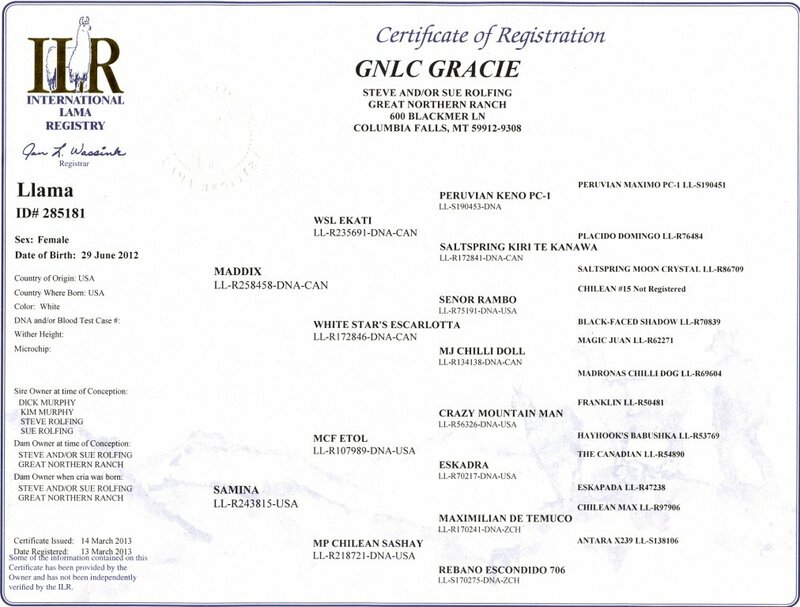 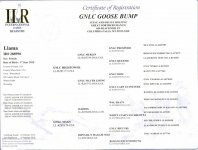 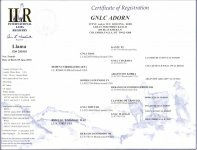 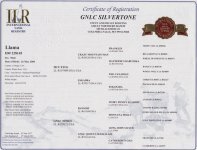 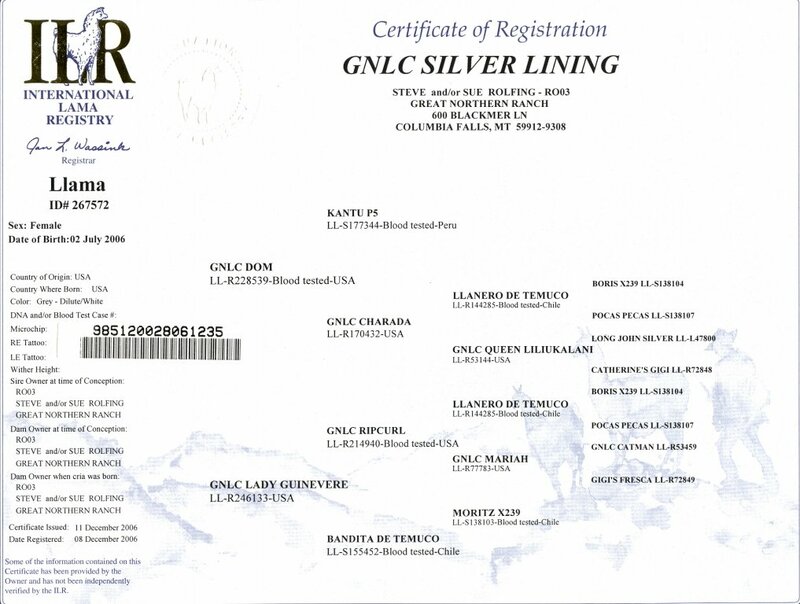 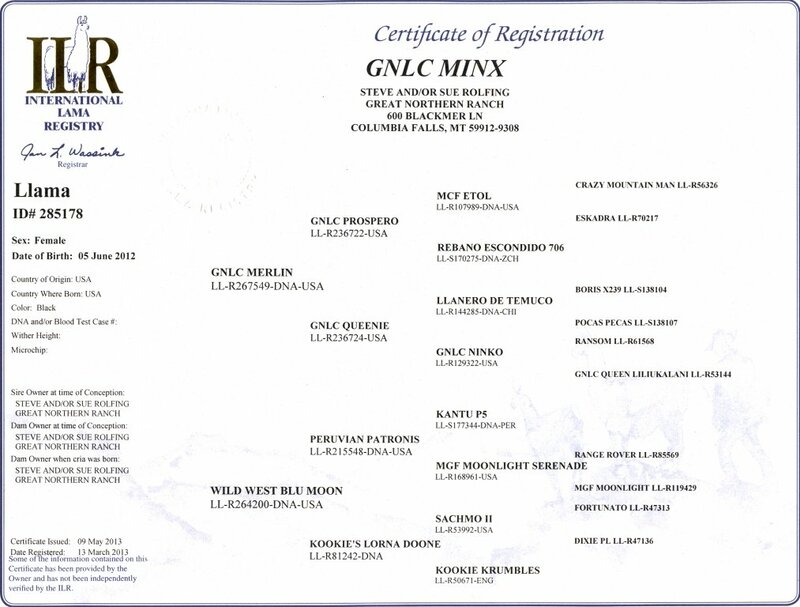 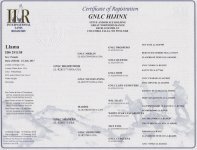 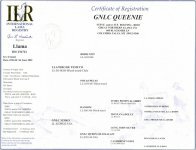 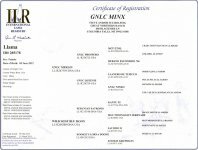 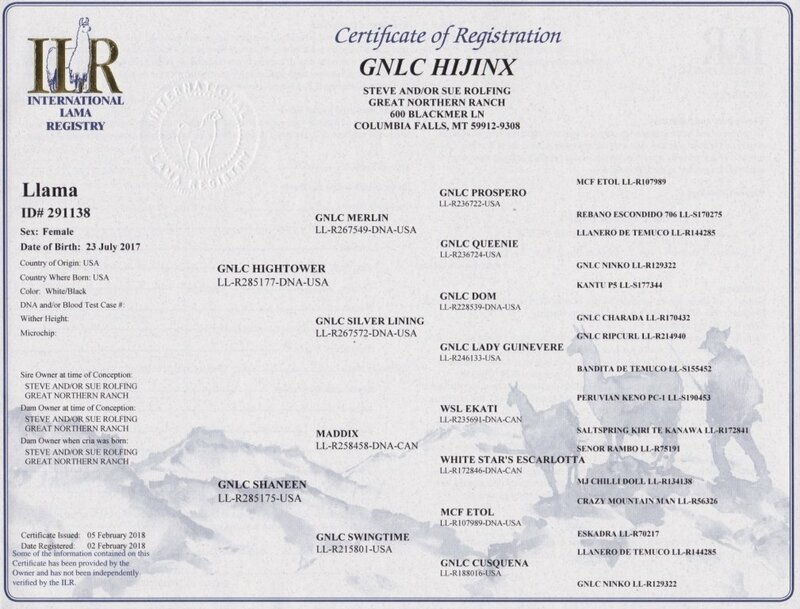 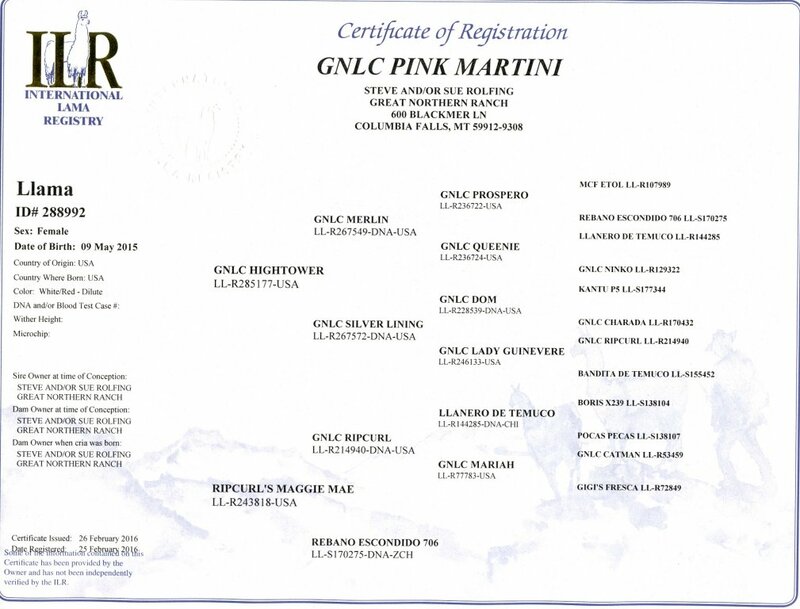 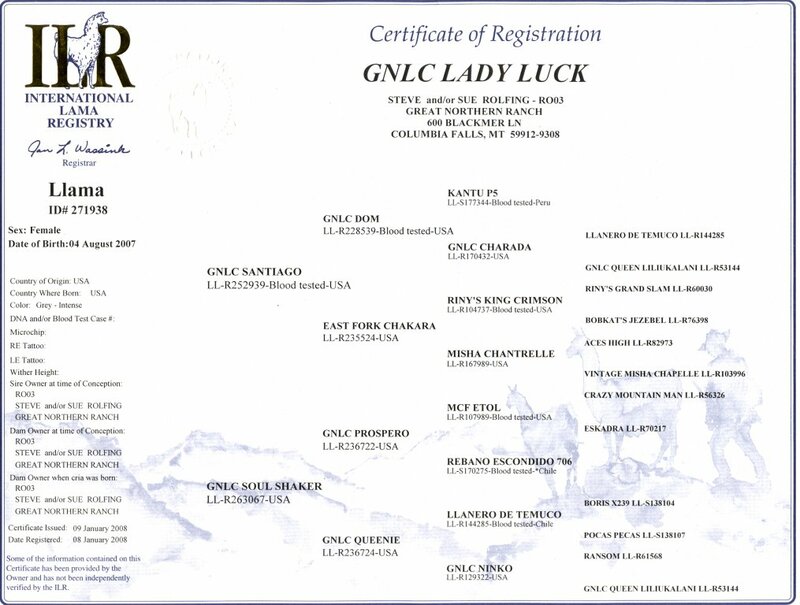 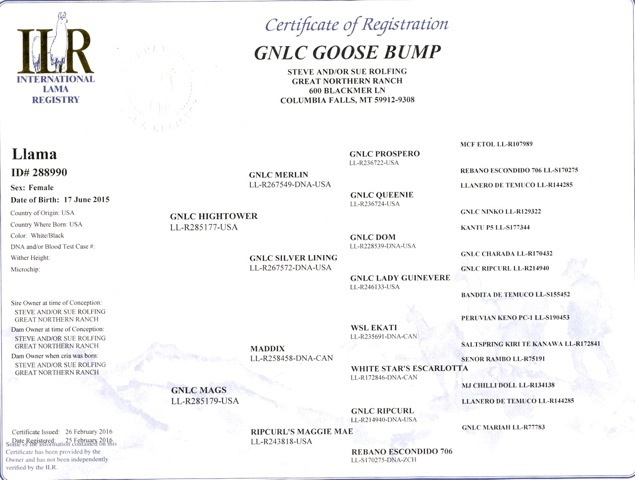 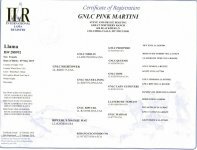 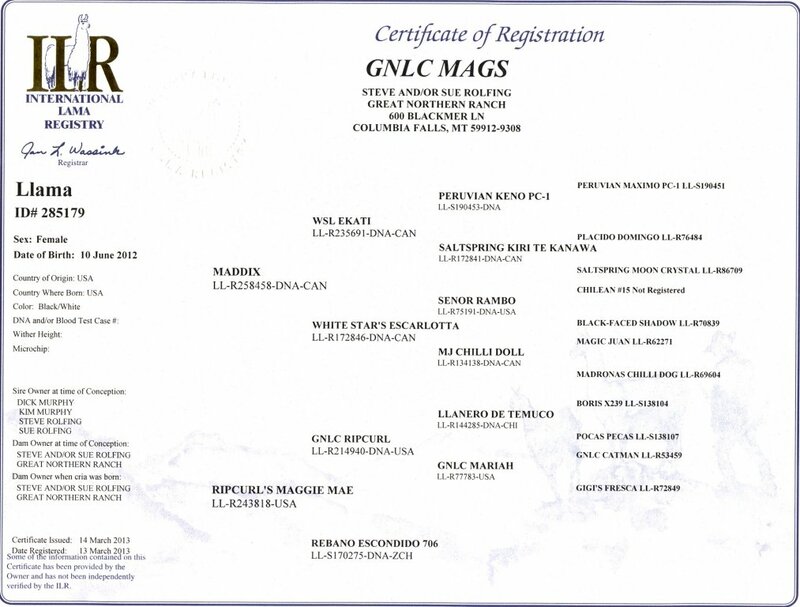 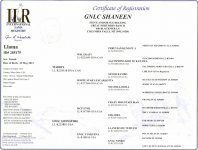 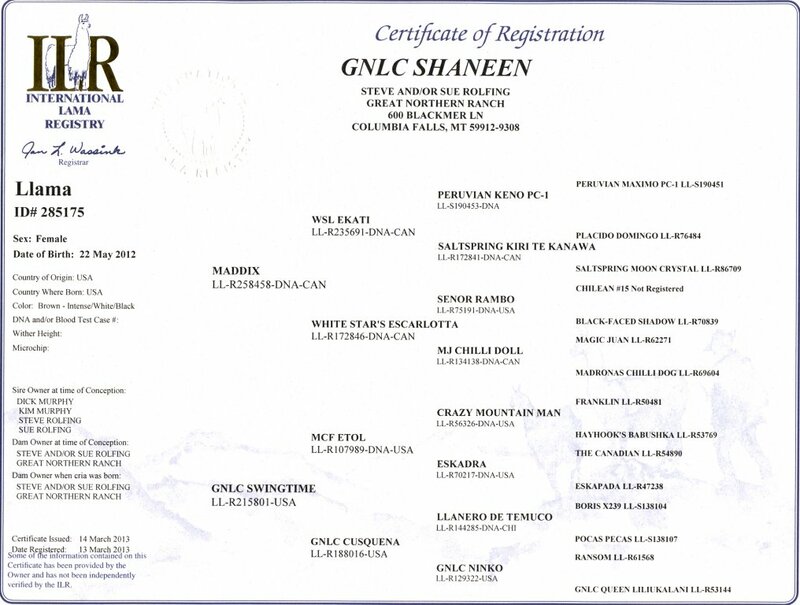 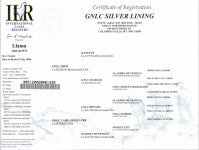 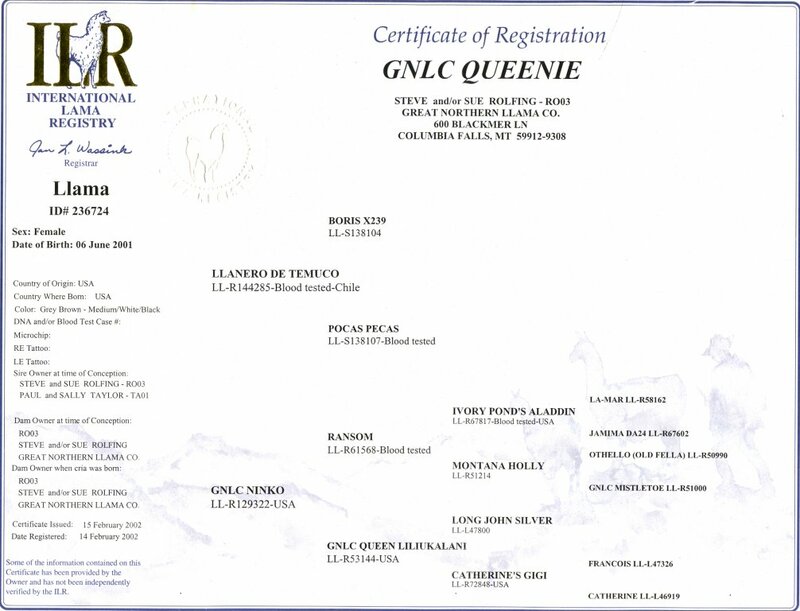 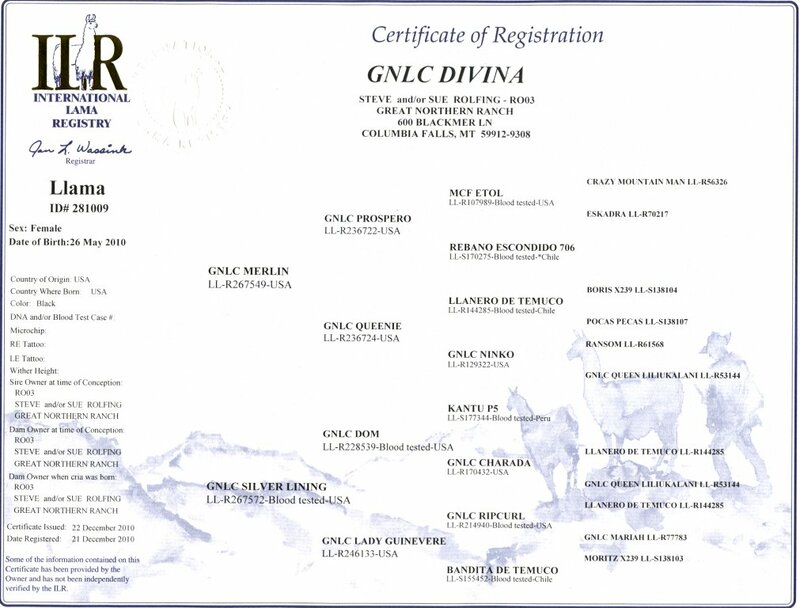 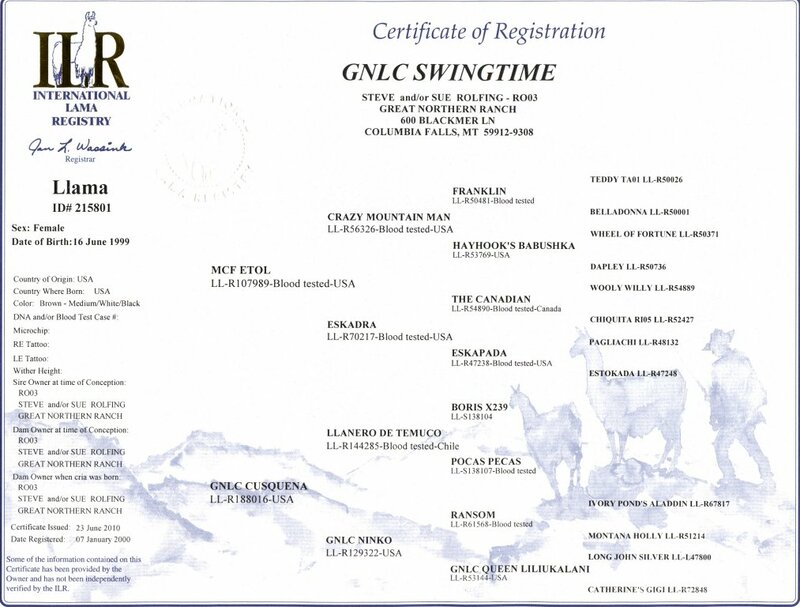 Silvertone’s dam is GNLC Ninko who is also the dam of GNLC Queenie in a line that locks height and athleticism into its offspring. 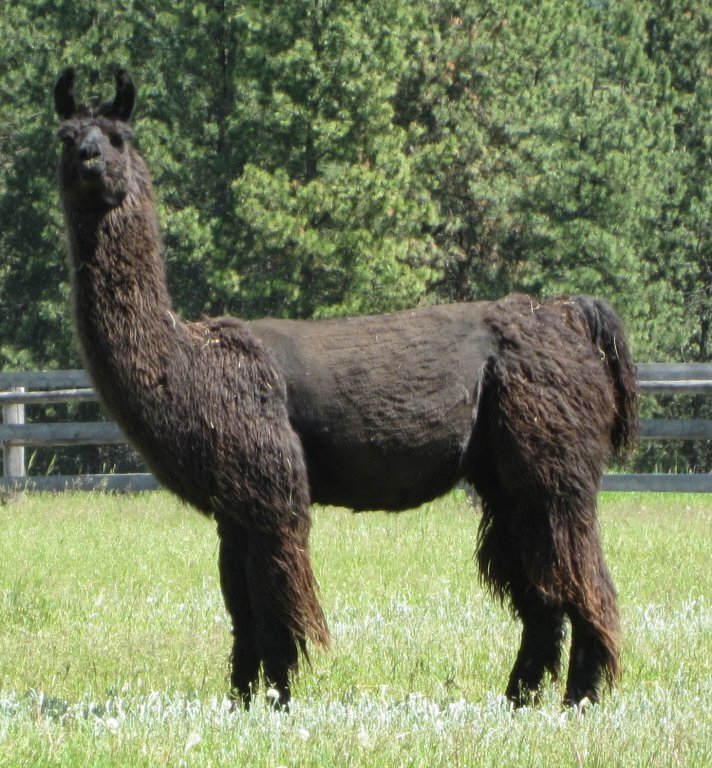 We are grateful to Marilyn & Bob Wynia for sending Sijama Ikandy to us in spring 2017 to breed to our Merlin and Hightower daughters. This amazing male stands 49.5” at the withers and 80” at the poll, and has the type, style and ingredients to greatly complement our herd. 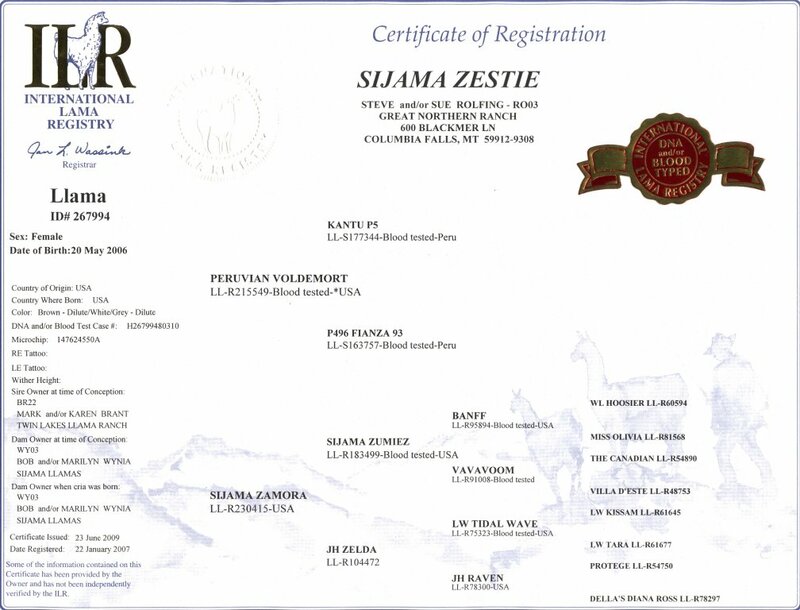 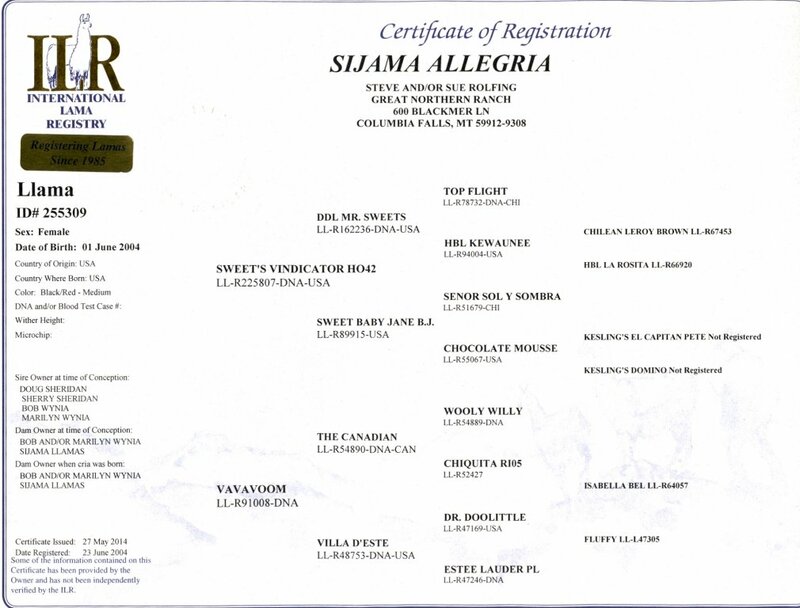 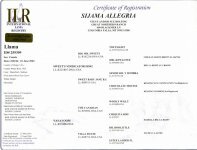 His dam, Sijama Zamora, is one we know well as she is also the dam of Sijama Zestie in our herd. 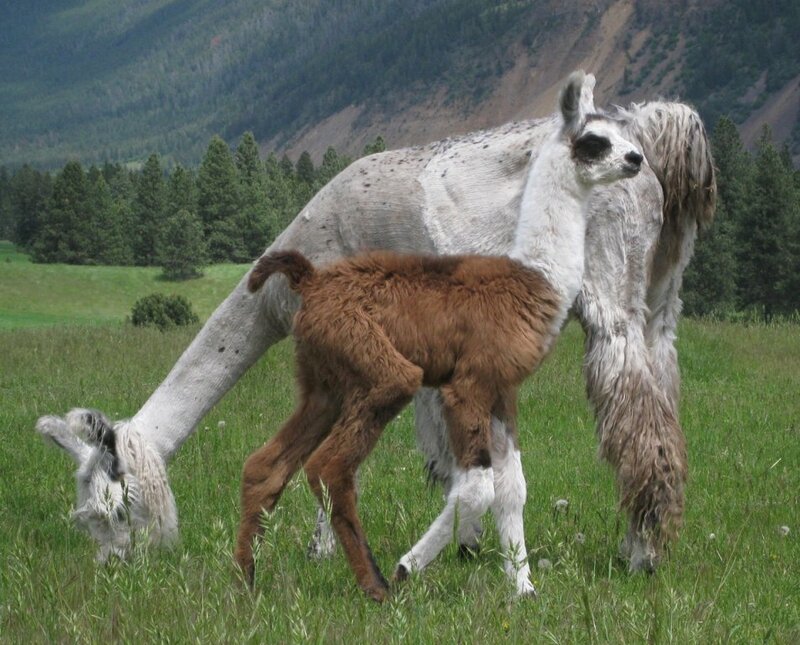 Zestie nicked so well with Merlin that we bred them five years in a row and had a standout cria every time. 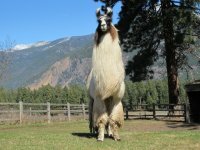 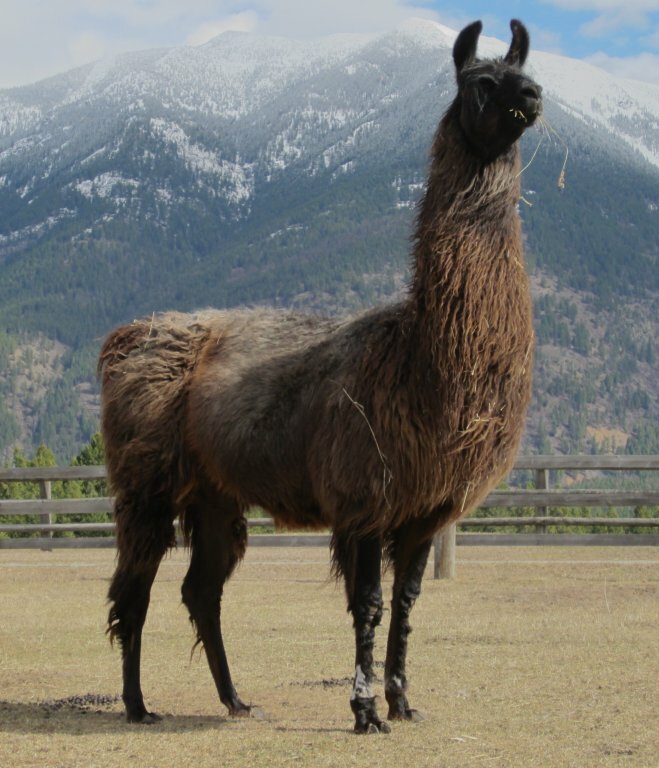 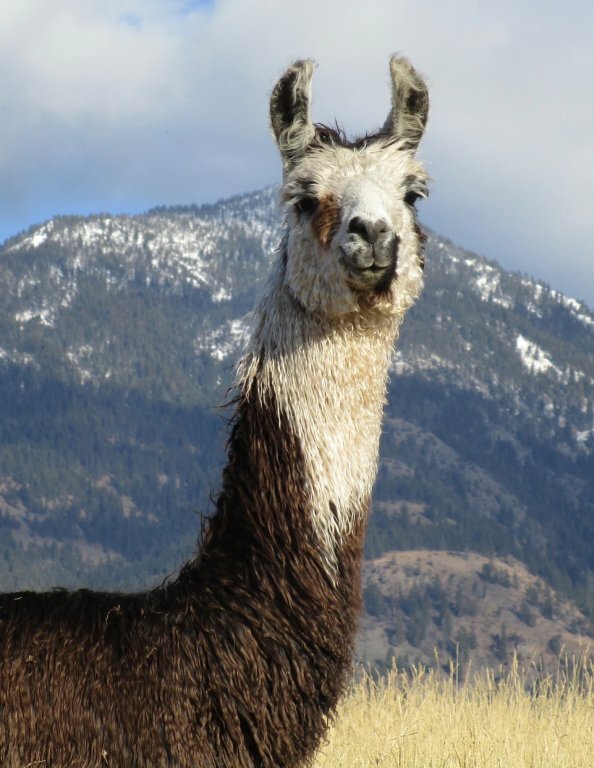 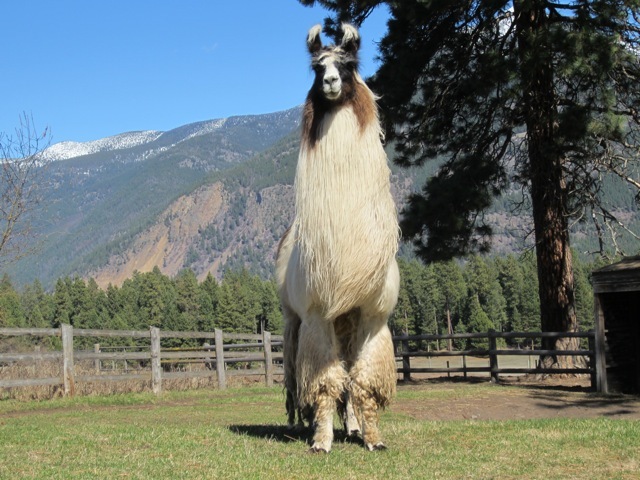 In exchange, GNLC Hightower spent spring 2017 at Sijama Llamas in Oregon. 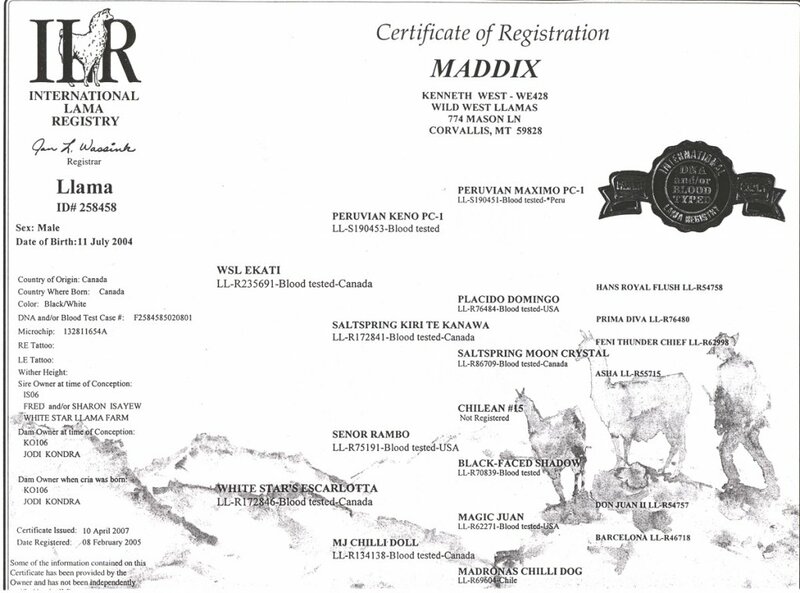 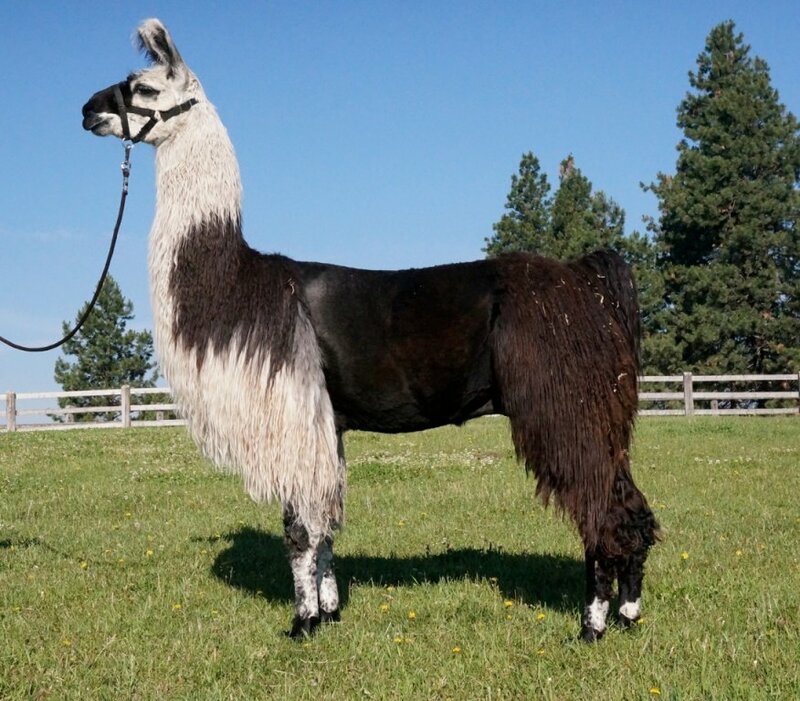 Hightower and Ikandy have a history going back to their early show careers when, at the Cascade Show, they competed against each other in a two-judge system in which they each received a Best of Show award. 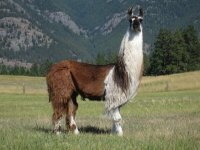 Thus began a friendly rivalry that has moved from the show ring to our breeding pastures. 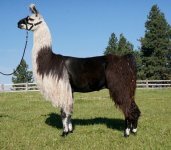 We’re looking forward to spring 2018 when the crosses will start hitting the ground in both of our herds. 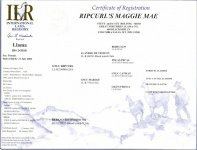 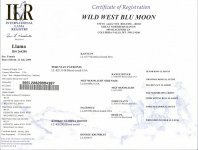 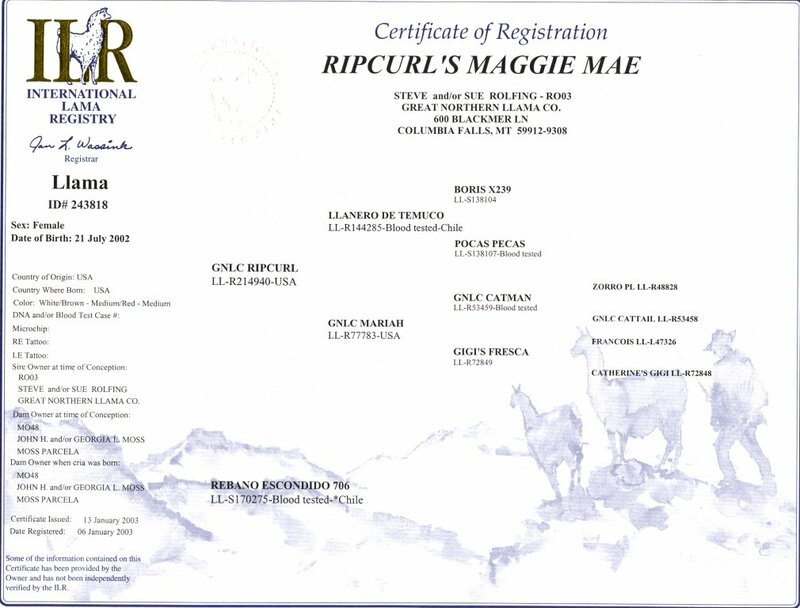 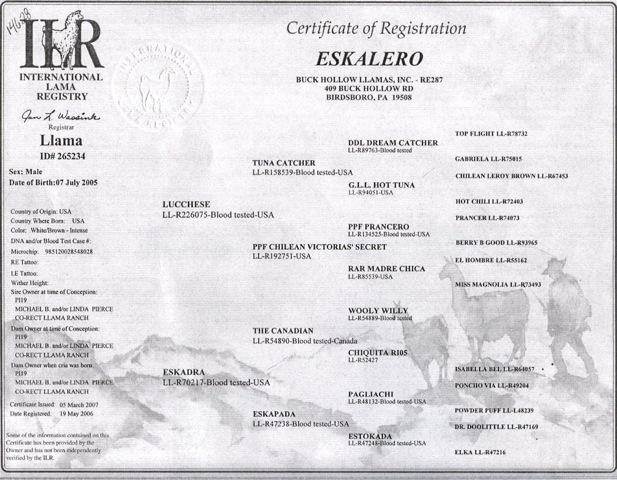 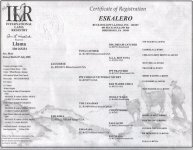 Eskalero (owned by Carol Reigh, Buckhollow Farm) visited us Summer 2015 for 7 breedings. 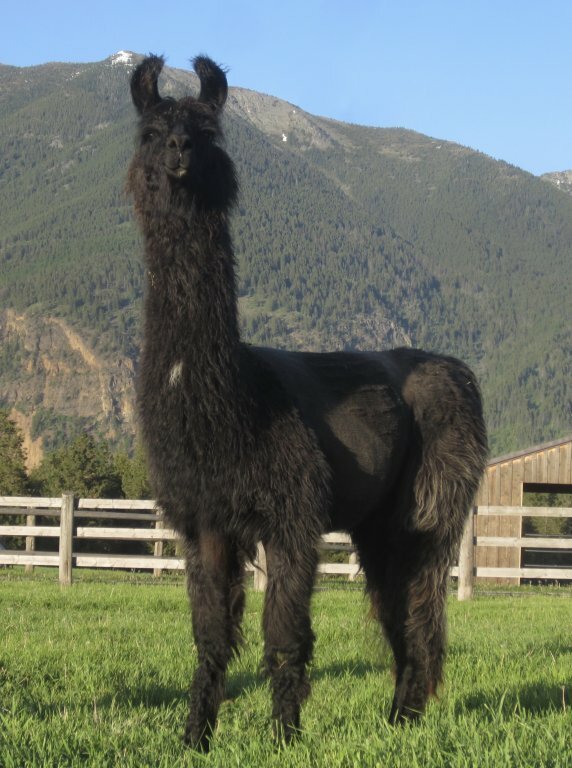 He is from the renowned “E-Line” and has the same dam as our former herdsire, MCF Etol. 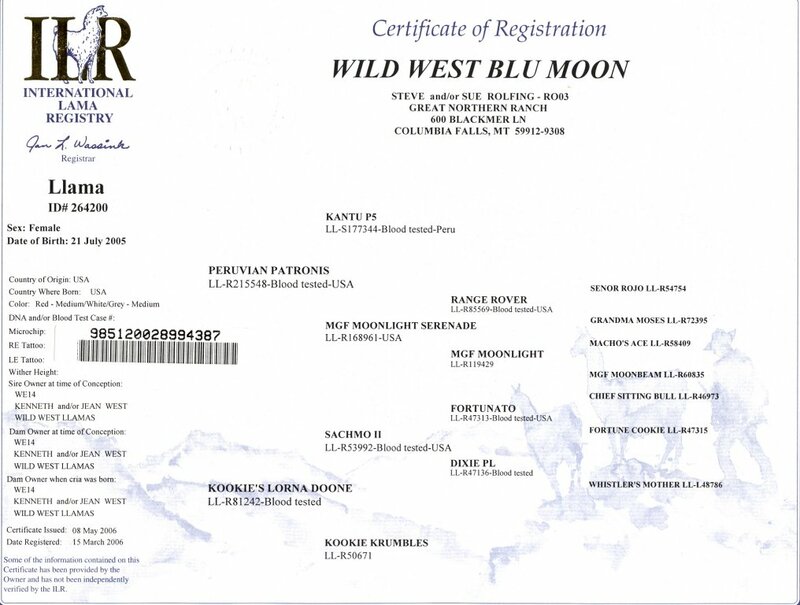 48” at the withers. 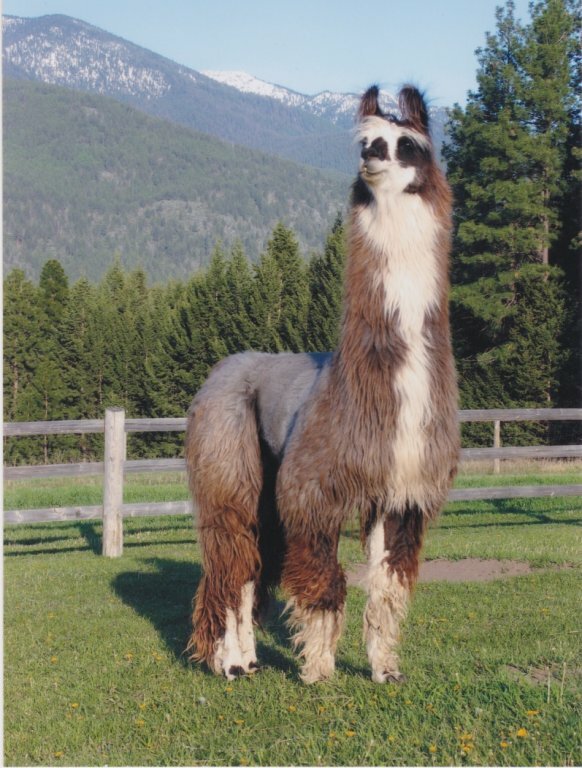 Bella is our favorite Merlin daughter. 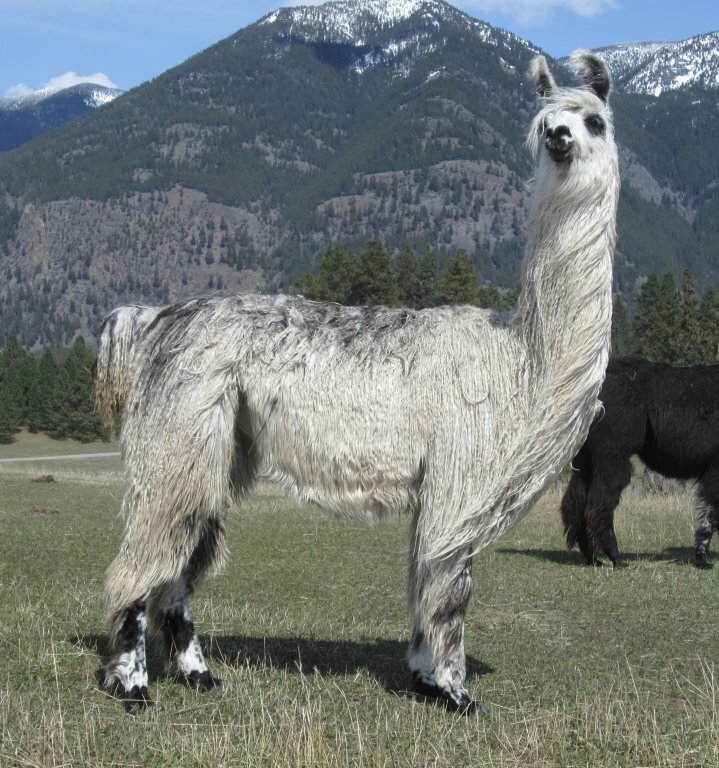 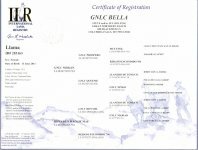 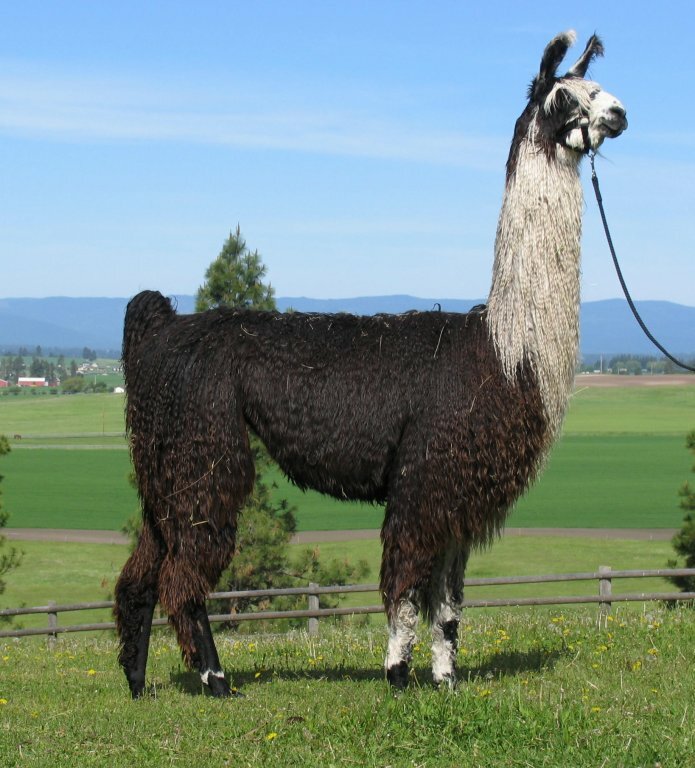 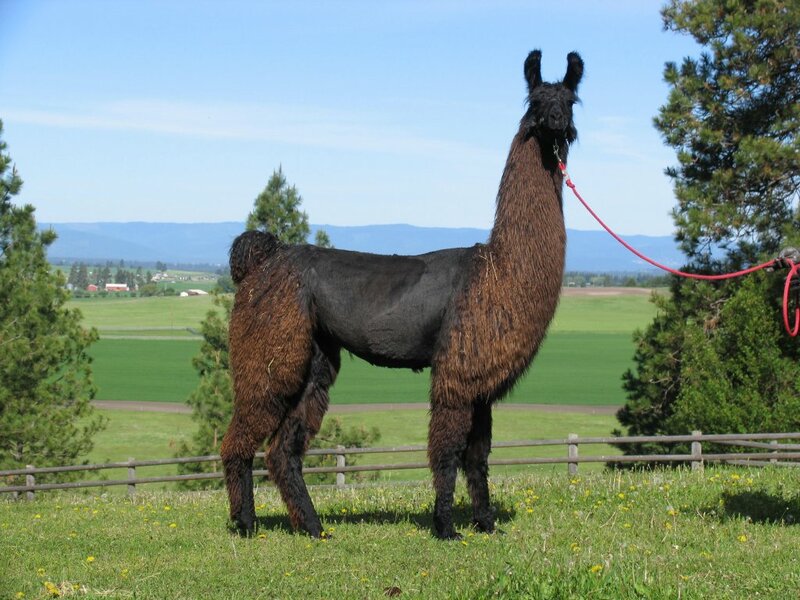 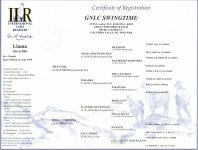 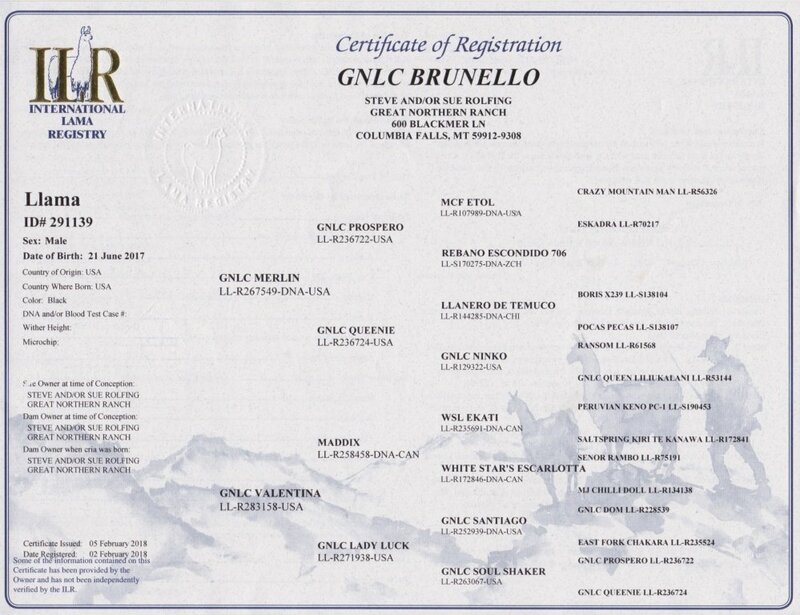 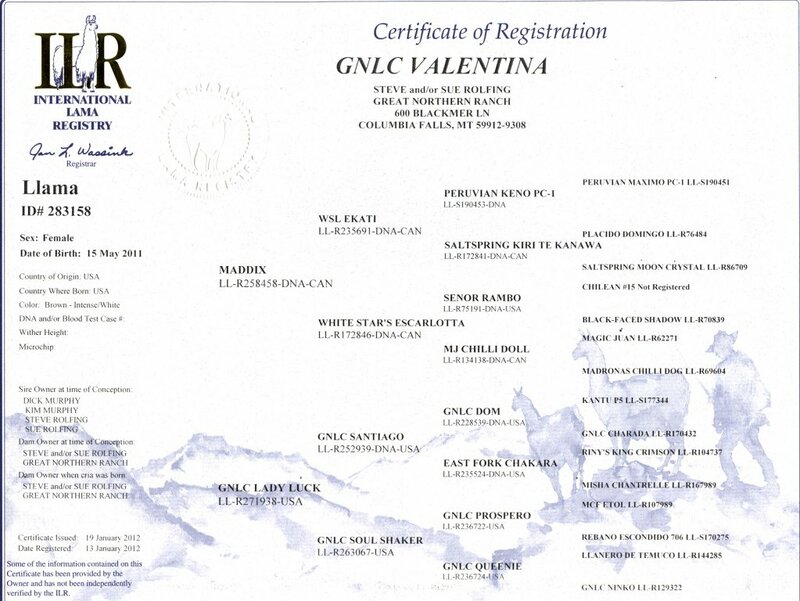 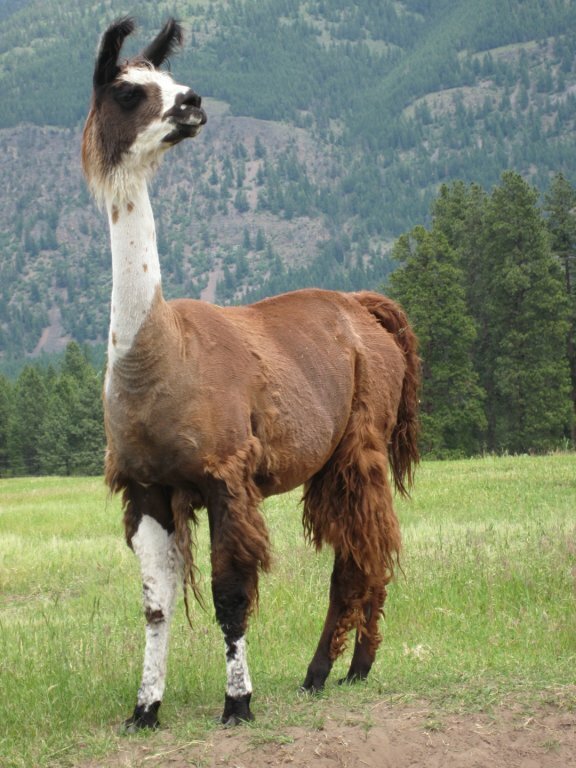 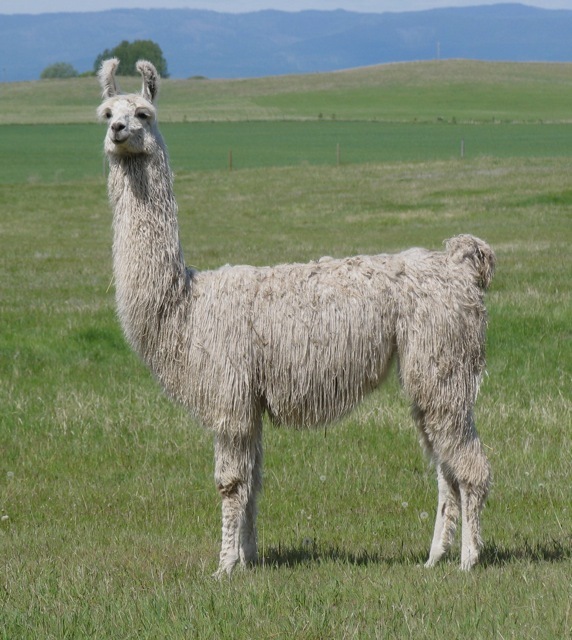 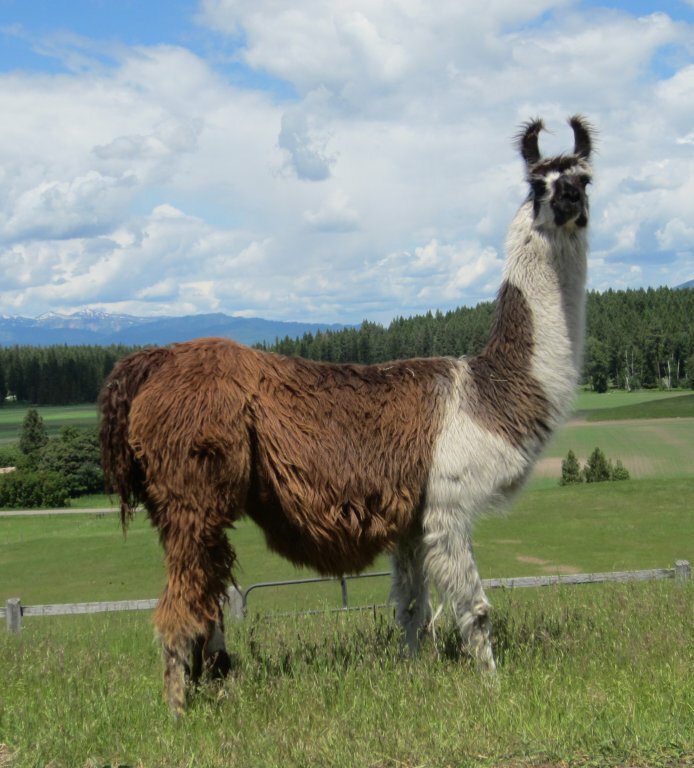 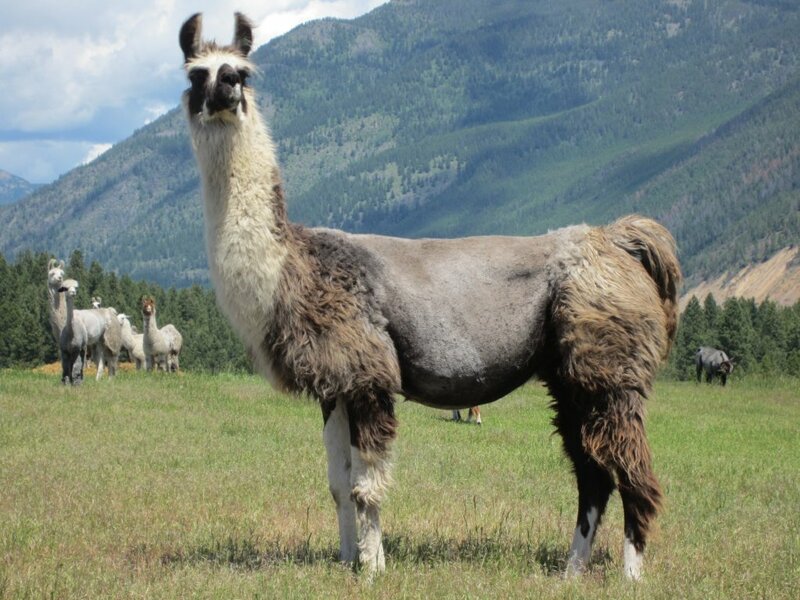 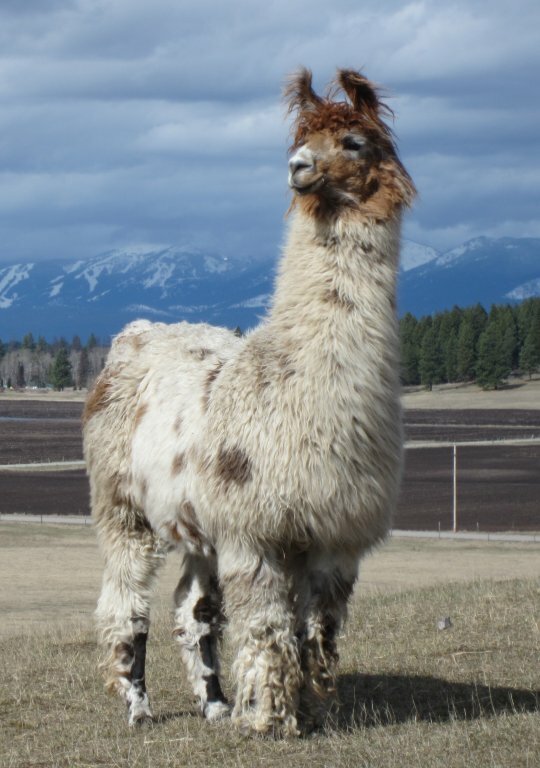 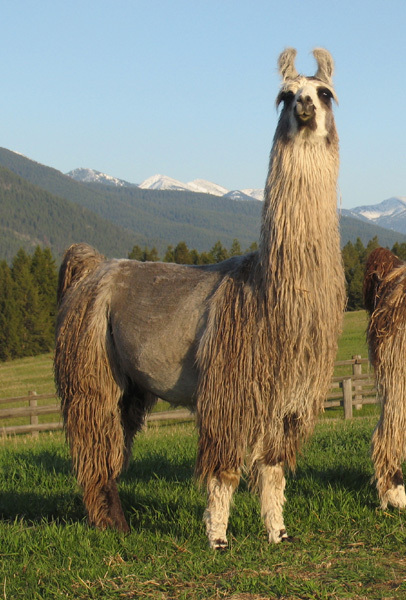 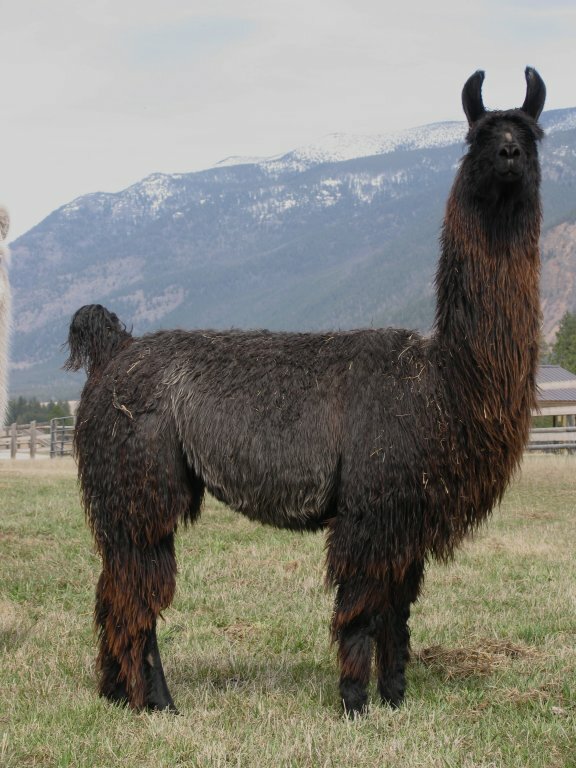 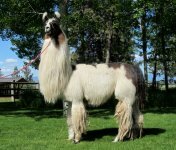 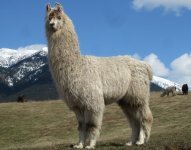 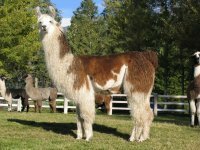 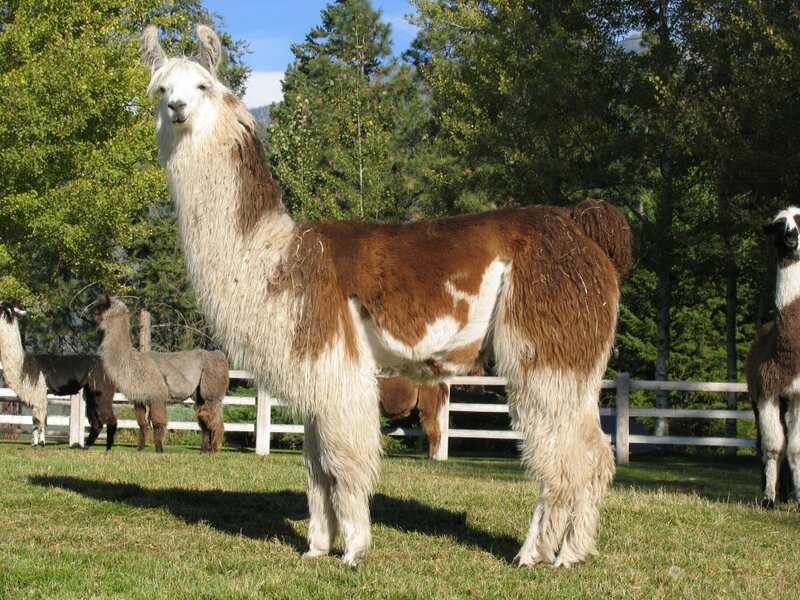 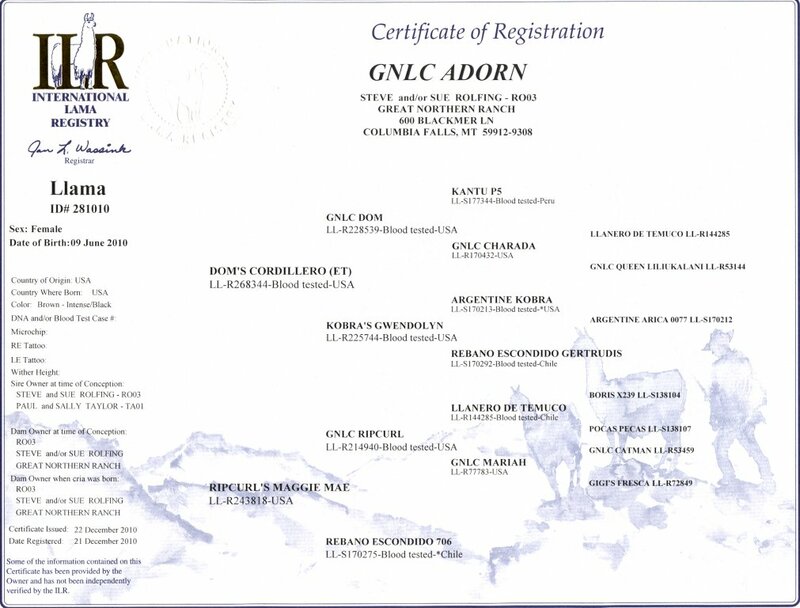 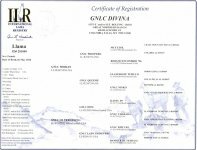 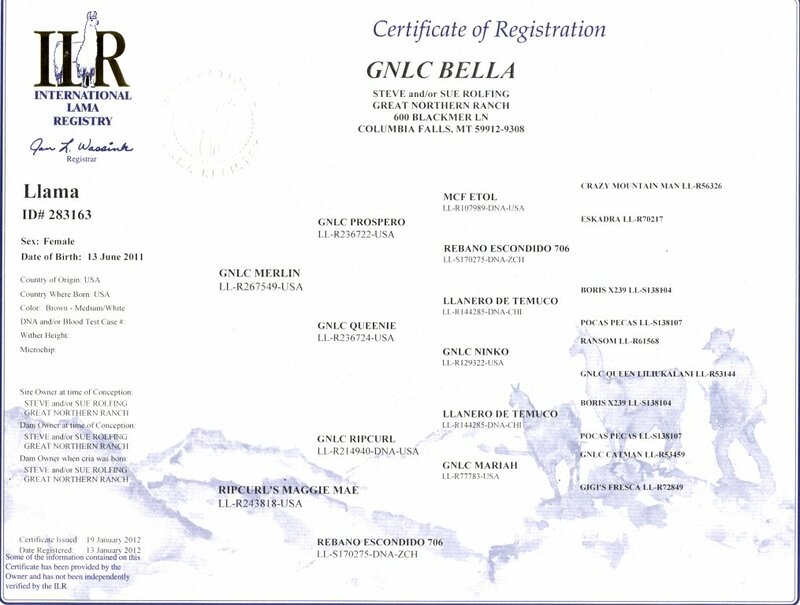 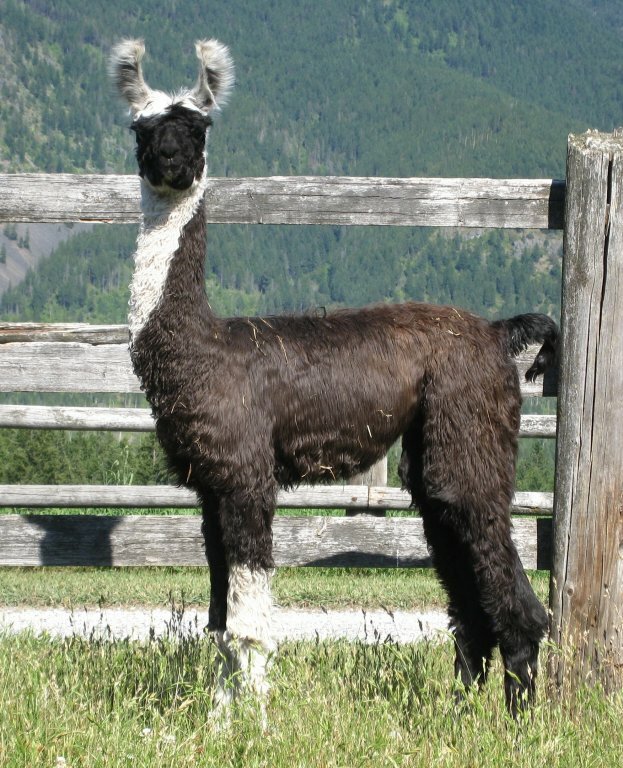 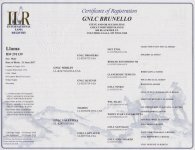 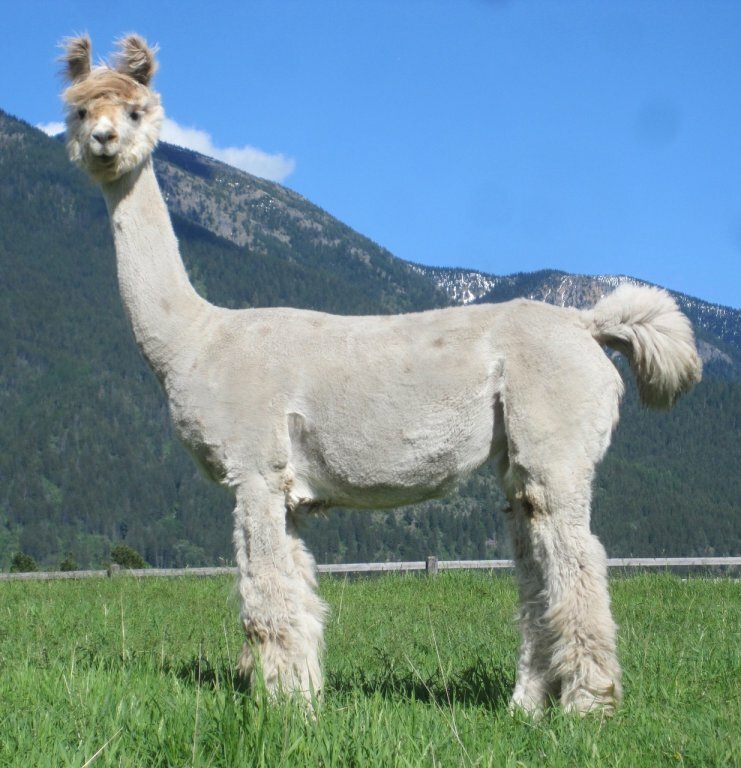 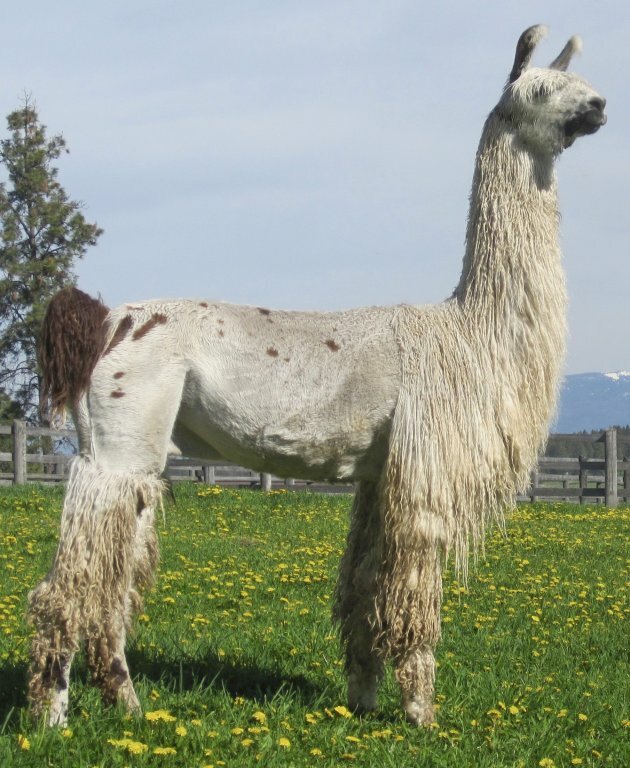 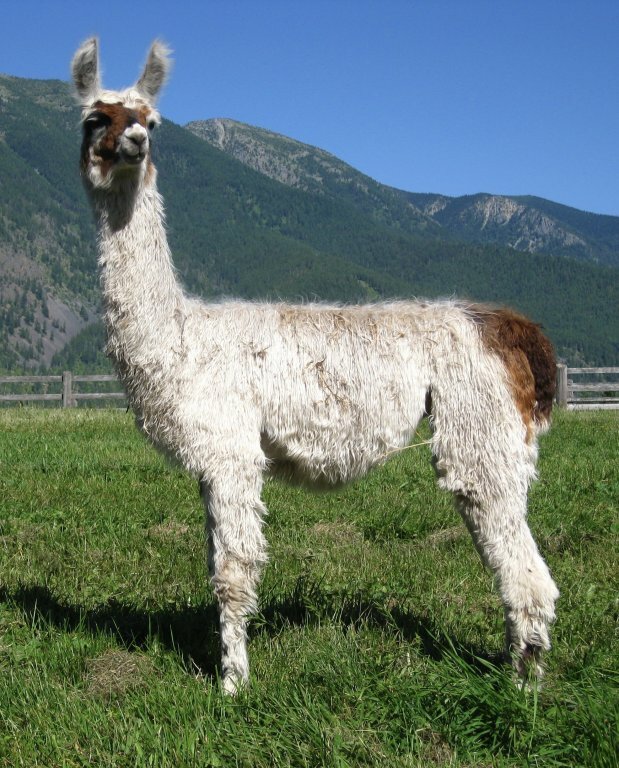 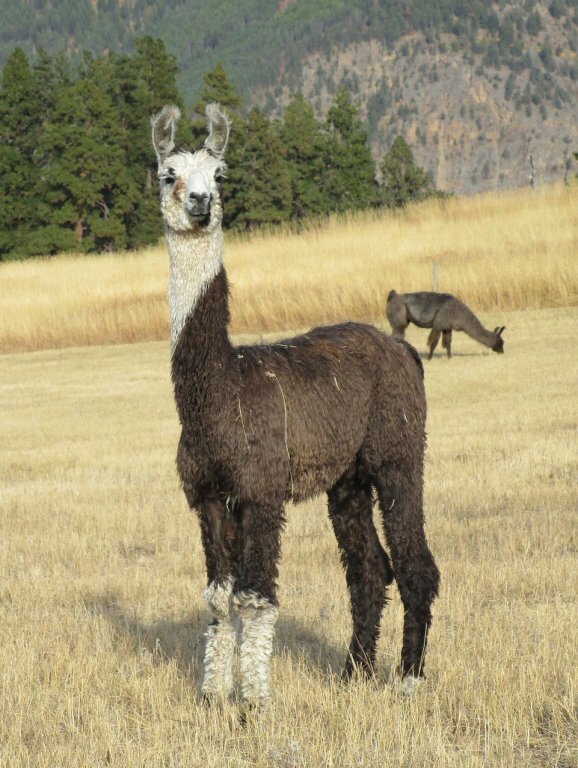 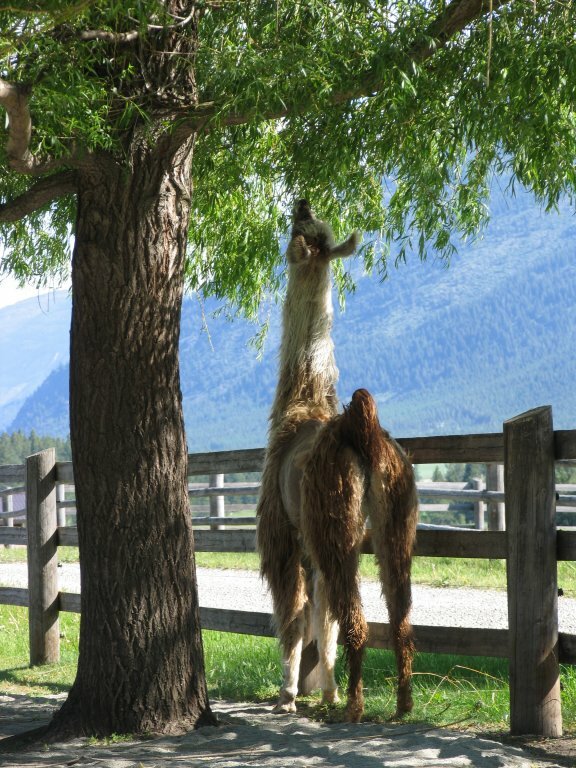 The last cria sired by GNLC Merlin, Brunello is a herdsire prospect. 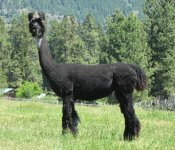 45.5” withers, 72” poll and still growing. 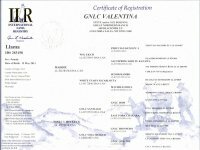 Valentina is 48” withers, 82” poll. 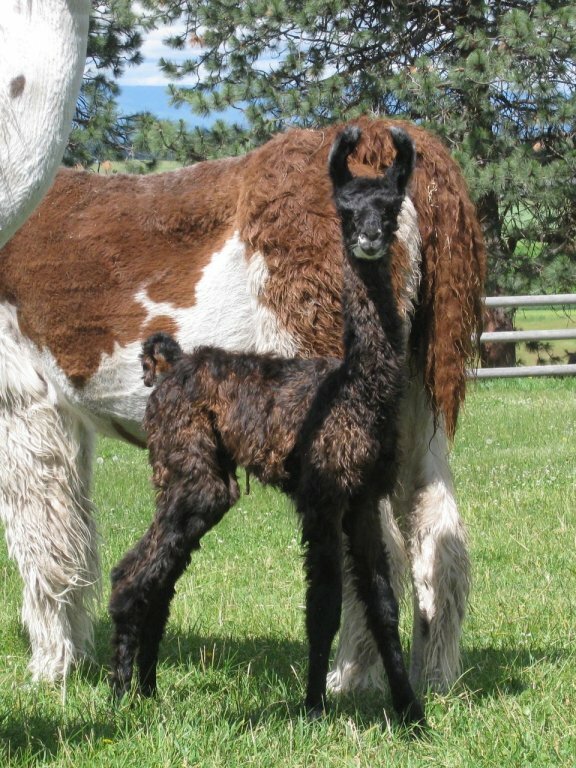 Her 2017 male, Brunello, was Merlin’s last cria. We are currently reserving him as a herdsire prospect. 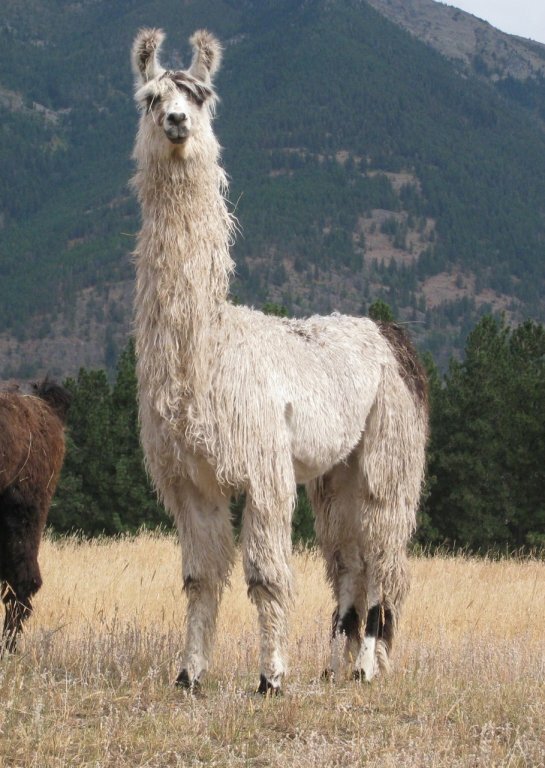 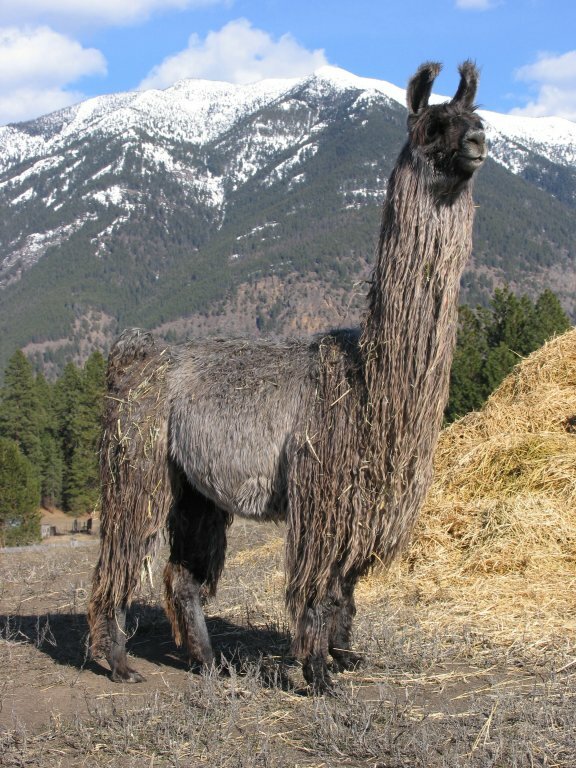 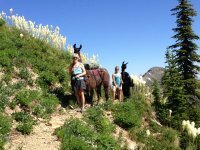 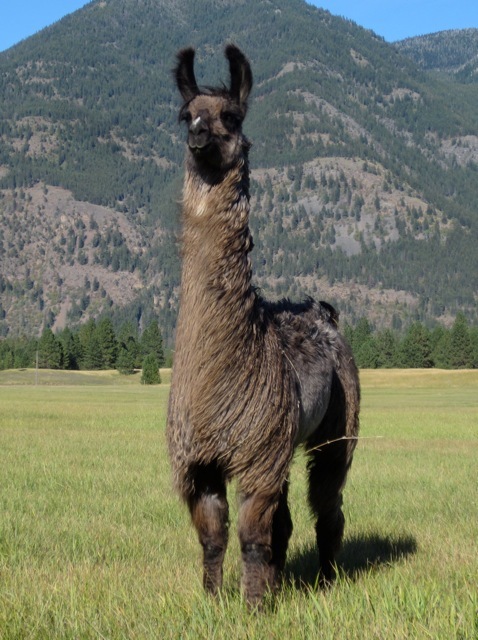 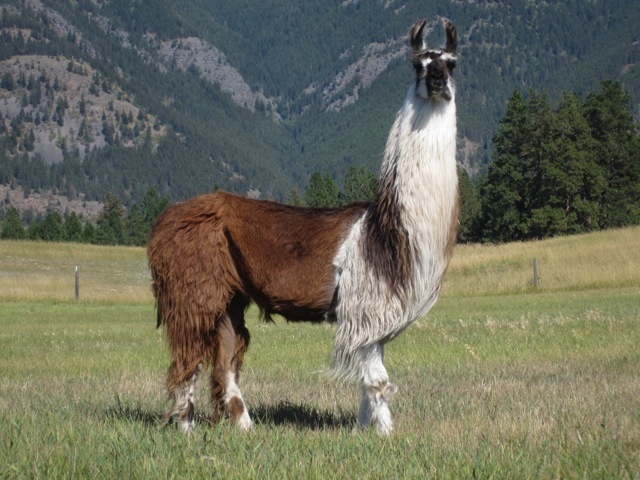 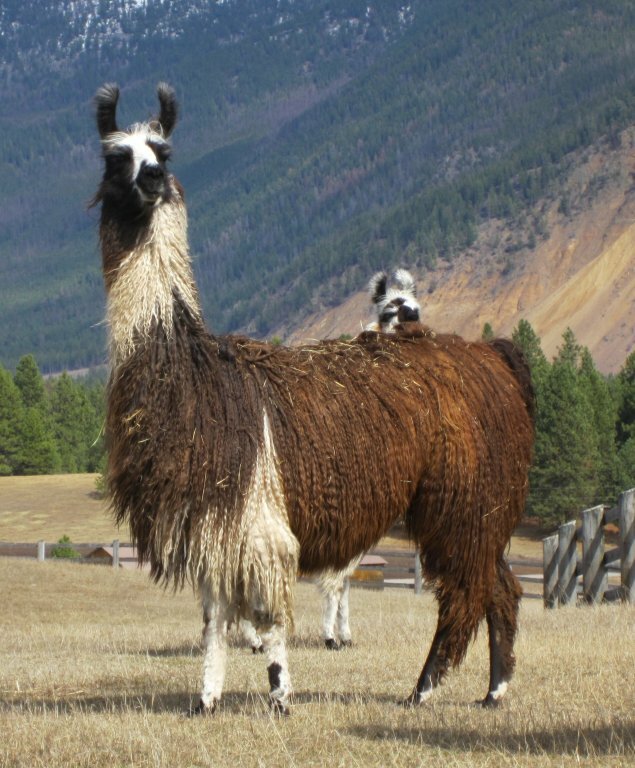 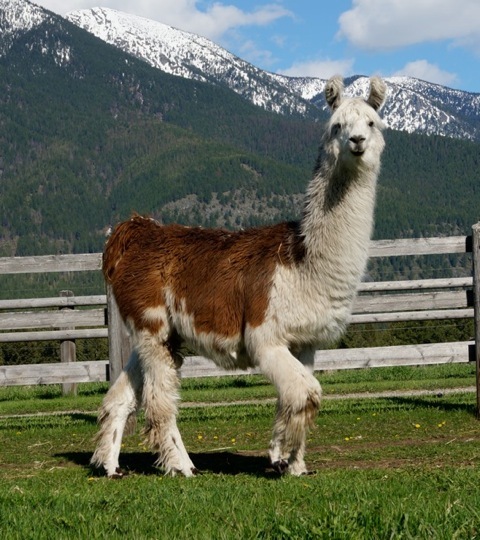 “Legs” (below, the lead llama) on her first backcountry pack trip 2014.